The challenge this week is to post a monochrome, defined as “a photograph or picture developed or executed in black and white or in varying tones of only one colour.” (Google). To take the challenge one step further, the prompt reminds us that: “A powerful monochromatic image is composed of a gradient of a single color, and has an emphasis on texture and composition.” For more monochrome tips, or to see other entries to this challenge, click on the red link on the first line of this post. 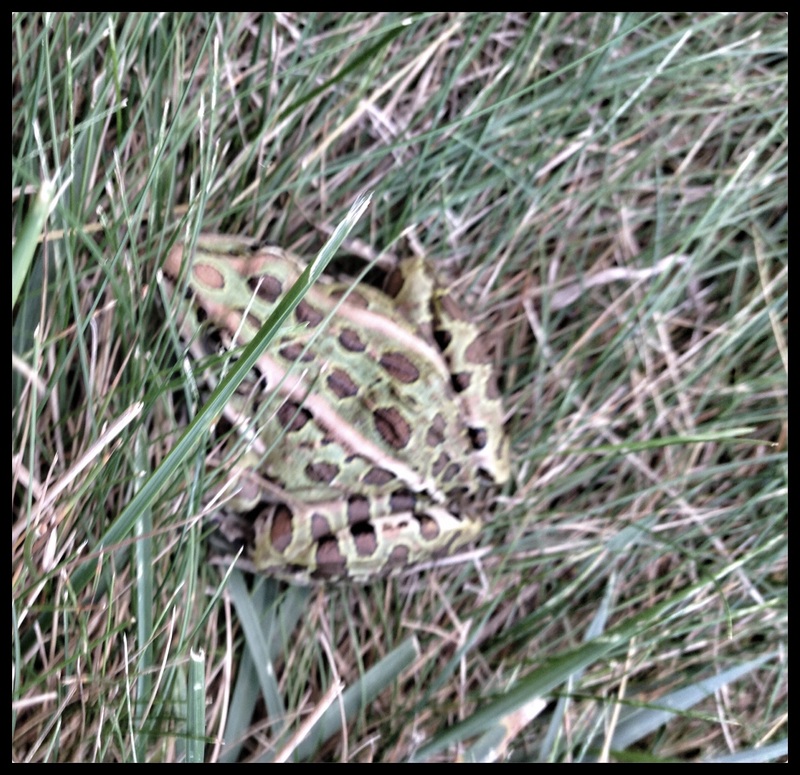 Today I am sharing pictures of some insects and frogs taken at home this summer. They are not perfect monochromes, but all have a distinctive feature in common: they show how animals are well camouflaged to blend in with their surroundings. 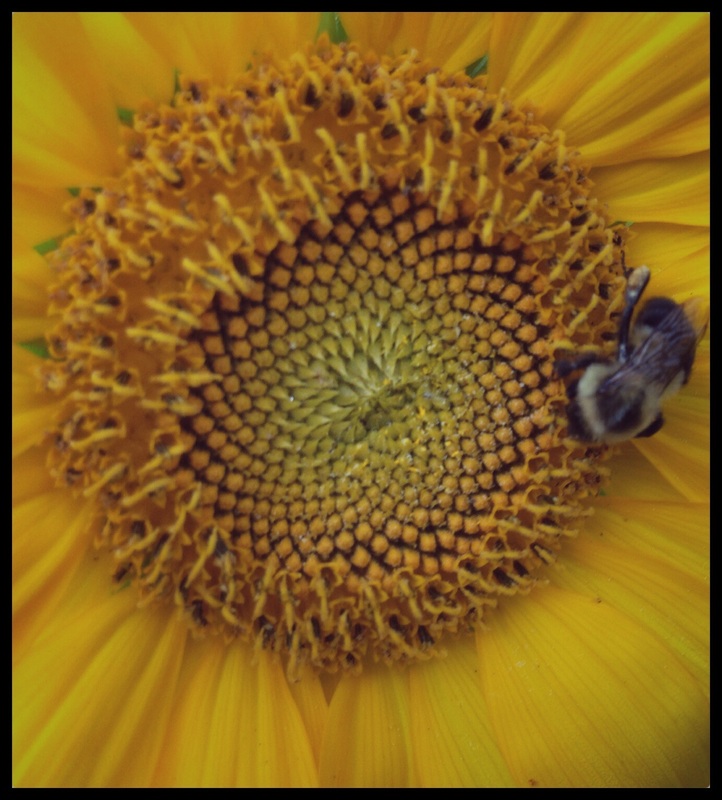 The one exception is the last picture in which the monochromatic feature is found in the golden tones of the sunflower, rather than the bee that sits on it. This Katydid is a green colour that conceals it well in its natural habitat. My camera found it on the brown paint of my front door; so I edited the picture to give a uniform colour. This frog is very tiny–probably no more than an inch long. 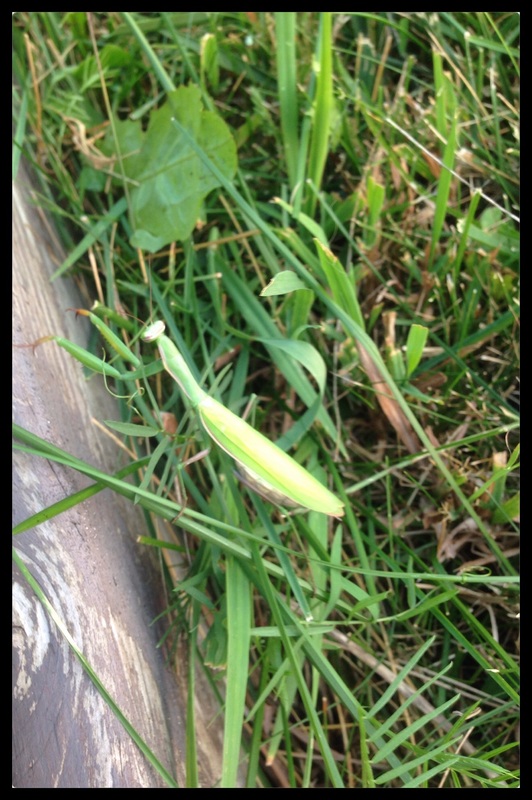 I discovered it on the siding of our garage. A Praying Mantis blends in so well with grass that I probably wouldn’t have seen it if its legs weren’t resting on wood, making this a partial monochrome. 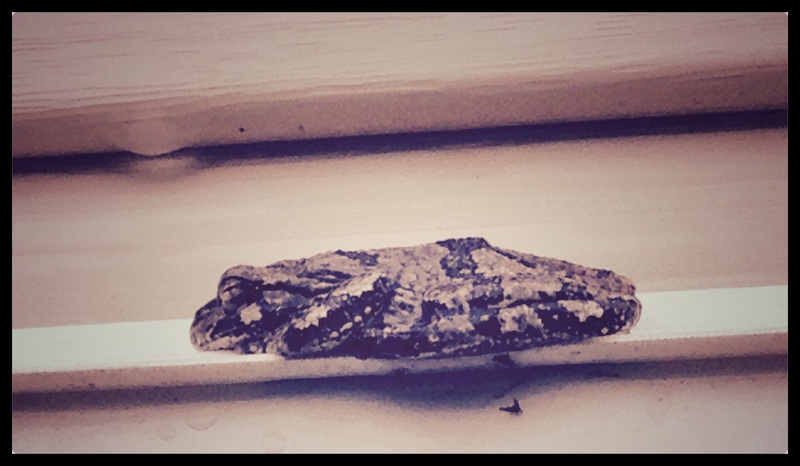 This frog is 4 to 5 times bigger than the previous one. Its brown and green tones blend in well with the brown and green grasses near the house. Really nice micro shots. 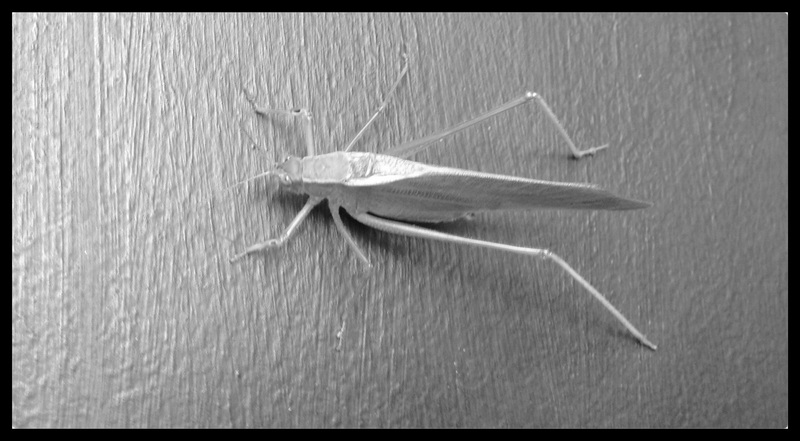 The katydid looks almost like metal. I can relate to that. Some bees are busy bees–they keep moving. This one just stayed on the sunflower.